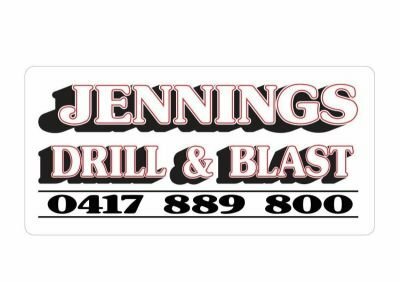 Warren Jennings began his career at age 15 as a trainee Shot Firer and Driller with a company which specialised in working in built up areas such as Brisbane CBD. We can supply the anchor materials, Drill various diameter holes and install and grout to specifications. Nonex Safety Cartridges for rock / concrete breaking. Nonex is very well suited for rock excavation in sensitive areas where high explosives are prohibited or for sites where the transport and storage is difficult. "Cracking Agent " is a very safe method for cracking rock or concrete where vibration and noise are prohibited, No licence is required to use this product. We offer a finished waterbore drilling service for the domestic market in poor access areas. We offer a Drilling service of various diameters from 1 meter to 30 meters depth for electrical sub stations, power poles and towers. Solar Farm Pre Drilling For Piling. Pre Drilling speeds up the piling progress and increases accuracy. We offer a hand held rock drilling service when access is very poor preventing drill rigs from being utilized or the job is too small to warrant the use of a drilling rig. With over 30 years experience in conventional and non conventional methods, we can offer advice to get your project running smoothly. Test drilling on your project can identify future potential rock problems early when at project design stage saving costly delays at construction time.